Triple Crown! Peter Salerno Inc. Congratulates Client on Historic Win [PHOTOS] – Design Your Lifestyle. June 2015 June 2016 Peter Salerno, Inc.
Peter Salerno Inc. congratulates Ahmed Zayat and American Pharoah on winning the Triple Crown! 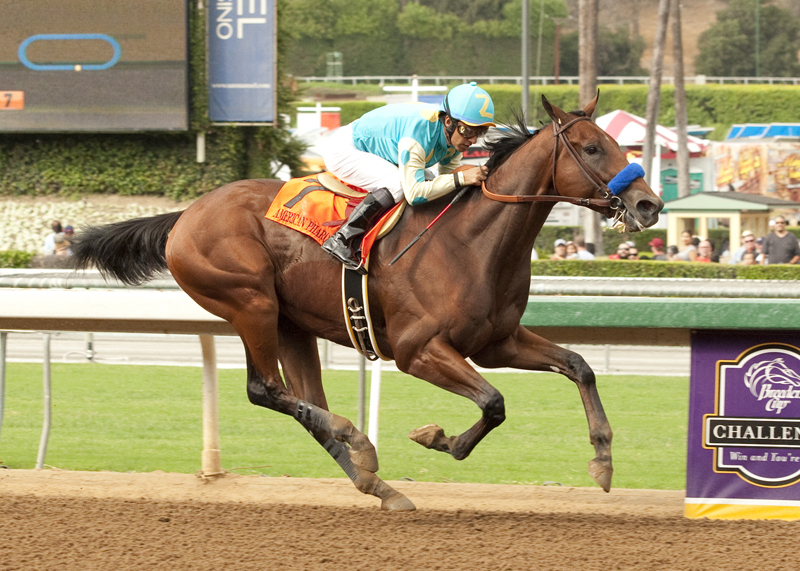 The sight of American Pharoah galloping away from the pack and towards history was majestic. Every hoof print in the ground, every yell from jockey Victor Espinoza, every thunderous roar from the crowd at Belmont Park – each of those noises pales in comparison to the deafening stamp American Pharoah left on horse racing history. American Pharoah is just the twelfth horse in horse racing’s illustrious history to capture the elusive Triple Crown – winning the Kentucky Derby, Preakness and Belmont Stakes in the same season. He became the first horse to win the Triple Crown since Affirmed in 1978. The trio of Secretariat, Seattle Slew and Affirmed each captured the Triple Crown in a six-year span (1973-1978); it had been 37 long years since another horse attained the prize. As American Pharoah and his jockey Victor Espinoza crossed the finish line at Belmont Park, 5 1/2 lengths ahead of the runner-up, fans rejoiced. Some jumped in the air, some screamed, and some even wept. Ahmed Zayat is a client of Peter Salerno Inc., the most award-winning custom kitchen and bath design firm in North America. As such, Peter Salerno, his family and work family are elated at the success of Ahmed, the Zayat family, and American Pharoah. It is a joy and honor for Peter to congratulate the Zayat family on their Triple Crown victory, and their place in horse racing royalty. For more on Peter Salerno Inc. and his award-winning kitchen and bath designs, please visit his official Portfolio.